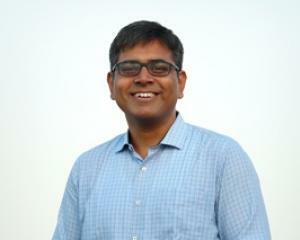 Siddharth is an investment partner at Omidyar Network where he leads the firm’s Emerging Tech investments in India. Before joining Omidyar Network, Siddharth was an entrepreneur, angel investor, and mentor to startup companies across Delhi, Bangalore, Mumbai, and Pune. He incubated and advised companies in edtech and home relocation, invested in fintech, B2B SAAS, and consumer internet companies, and served on the board of India’s largest distributed clean energy company. Siddharth was formerly with Bessemer Venture Partners, where he was most recently a partner in the firm’s Mumbai office. While at Bessemer, Siddharth had the opportunity to invest in and work with companies across various sectors including e-commerce, clean energy, healthcare, and hospitality. Siddharth joined Bessemer from McKinsey & Company, where he spent five years in the India office, working with companies across financial services, healthcare, retail, and manufacturing industries. Siddharth holds a Post Graduate Diploma in management from the Indian Institute of Management in Ahmedabad and a B. Tech. in computer science and engineering from the Indian Institute of Technology in Kanpur.